Small Intimate weddings are near and dear to my heart. This coming January Luke & I will be celebrating our 12 year wedding anniversary. 12 years ago we got married in a small little house in base housing in Anchorage Alaska. Only a handful of people were present and they were my co-workers at the time. I don’t even remember half their names! It was a last minute elopement and the odds were stacked against us. However, love endured and here we are 12 years later going strong and happily married. The Magnolia House Inn has a small wedding chapel here in Hampton. This historical home is ran by the sweetest couple who love the home and the people that come to visit. They truly serve their couples in such a loving way. 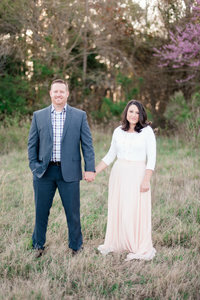 Luke & I just love visiting and capturing some of the sweetest elopements and small weddings. This Magnolia House Inn Wedding was just as lovely as the others! Danielle & Michael were just one of those sweet and fun couples. In the presence of their two closest friends they had an intimate ceremony where they read their own vows and promised their hearts to one another. Afterwards we had some fun as we always do capturing their just married pictures. The weather was absolutely GORGEOUS considering it was the end of December so we took advantage of it and headed to the beach at Fort Monroe. It was PERFECT! Thank-You Michael & Danielle for having me join you two. We wish you both a lifetime of happiness together! Here are some of my favorites from their day! The little porch on the Bed & Breakfast was so cute! The light was so Amazing at Fort Monroe! Loved being able to hang out at the Beach after Christmas!